The main focus of this novel is a manuscript titled The Accident, which if published threatens to take down the wide-ranging, worldwide empire of media mogul Charlie Wolfe. The anonymous author has written a tell-all book that exposes a lot of egregious secrets about the rich and powerful, and the manuscript also churns up an incident in Wolfe's past that the author now decides to reveal. Isabel Reed, who receives the manuscript with only an e-mail address as a contact, has to make a pretty hefty decision herself: should she make sure that this book gets published? Should she pretend that she'd never read it or even received it? Or should she go the authorities, the news media itself, or even call the White House? Figuring that she can't be killed "in front of the whole world," if she goes public, she decides to hand the book off to an acquiring editor she knows would be the right person to see it through. Unknown to Isabel, along with Wolfe, there's a CIA agent in Copenhagen who also doesn't want the book to be published; in fact, he doesn't want the manuscript to exist at all. But as it turns out, the manuscript is already making its way into hands other than those belonging to Isabel and her editor friend, as others see it as a perfect medium for saving or making their careers. At the heart of this novel it's all about betrayal, and trust me, there is a lot of duplicity and double-dealing going on all through this book. 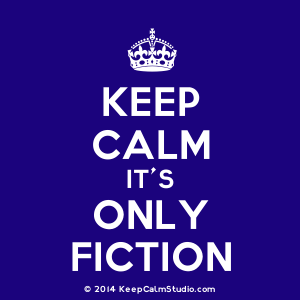 Well beyond the anonymous author's exposé of Wolfe, there are people who see the manuscript as a way to elevate or launch their respective careers, there is one who sees its potential as not only a blockbuster but also a way to save a failing business, and there are other, more personal types of betrayals going on among some of the characters as well. This theme was well expressed, and the look behind the scenes at the publishing industry is quite interesting, especially the fact that it sometimes takes only a look at the first page to decide whether a book is worthy of continuing on to the second or not. The author's bio page at his website reveals that he knows what he's talking about, since he spent nearly two decades working at a number of different publishing houses. And I do have to say that I particularly enjoyed the piece-by-piece unraveling of one particular secret that isn't made known until the very end. But let's face it: the trope of the anonymous manuscript that if made known will cause empires to crumble and secrets of the rich and powerful to be released is just not that original any more. Not only that, but the big secret that the anonymous author refers to in the title of his manuscript would be along the same lines as if someone had revealed that Steve Jobs had done something heinous in his college years -- yeah, it's shocking, but that act alone wouldn't have brought down either Apple or Jobs, especially nowadays. In my head, I'm thinking that all of the other stuff that Wolfe was up to would have been far worse and better to focus on as the meat of the anonymous manuscript. Bottom line here: while there is some suspense that kept me reading this novel, I've read better. 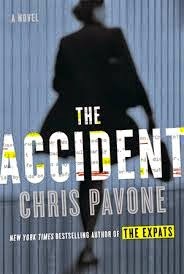 I'm looking at reader criticism on another screen right now, and most people are saying that The Accident is not nearly as good as Pavone's The Expats, so I'll probably try to rotate that one into my reading schedule to see what I may have missed. All in all, this one was just okay.